Every bill is a clear and intuitive report containing all of the information a user needs to enable them to check what has actually been charged. The service includes a complete system check-up, a report on the current state of the entire accounting system and a highly qualified, fast front-office service attentive to specific customer needs. Property managers – How to fill in the forms for communicating the costs? Install the latest version of Adobe Reader, so that you have all of the tools needed for adding values to the PDF file you have received. To get Adobe Reader, click on the following link, get.adobe.com/it/reader, and proceed with the download (Illustration 1). Remember to uncheck the optional offer box! 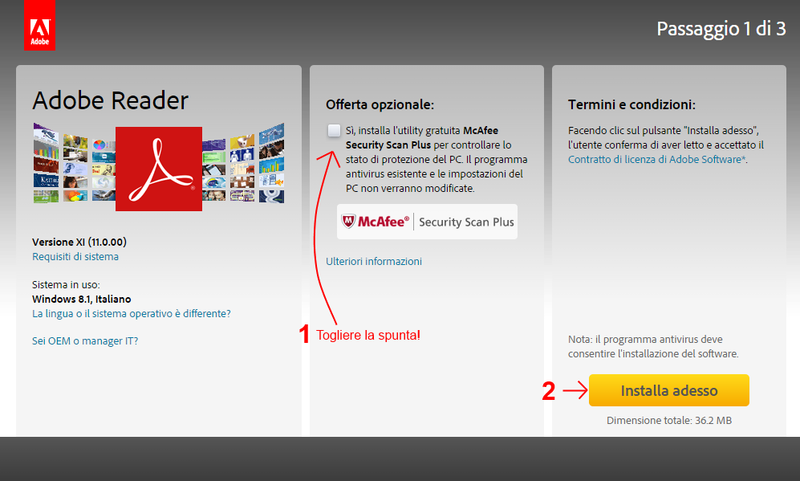 This will prevent the installation of McAfee. Save to your computer the PDF file/s received in the email we sent you. 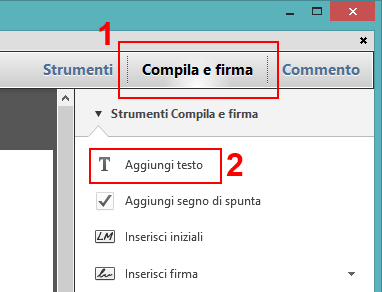 Open one of the files with Adobe Reader and click on the button at the top labelled “Complete and Sign” (Illustration 2), then select “Add text”. Position the cursor with the vertical line just above the line where you wish to enter a value, click on it and enter the value in the field using the keyboard. Repeat this operation for every field to be completed. The font size can be reduced if necessary using the “Text area” box, which appears when you select “Add text”.